Dr. Maw is the owner and founder of EARS Inc. She practices exclusively Otology/Neurotology and is board certified in Otolaryngology in the United States and Canada. She has been practicing in San Jose since 1998 and has owned her private practice since 2000. She is an Adjunct Clinical Associate Professor in the Department of Otolaryngology at Stanford University and a fellow of the Royal College of Physicians and Surgeons of Canada. Her practice is dedicated to the diagnosis and treatment of ear disorders, including hearing loss, balance, and facial nerve disorders. She is highly skilled in acoustic neuroma surgery, cochlear implantation, stapedotomy, and vestibular surgery. Dr. Maw is a member of multiple professional associations and committees, including the American Academy of Otolaryngology, the Canadian Society of Otolaryngology, Head and Neck Surgery, and the American Neurotology Society. She has participated as an investigating surgeon in the FDA clinical trial of implantable hearing devices and is a leader in her field. She has served as a surgical consultant in Otology-Neurotology and Skull-Base Surgery at Kaiser Santa Clara and Kaiser Fremont Centers. Her current research interests lie in tissue adhesives and bone cements in otologic surgery. She speaks frequently—locally and internationally—about issues related to hearing, innovations, and research. She was motivated by her grandfather’s profound hearing loss and has dedicated her professional life to the treatment of the Deaf and Hard-of-Hearing. She has 2 sons and is an equestrian in her (remaining) spare time. Dr. Michelle Inserra did her medical training and residency in Otolaryngology/Head & Neck Surgery at Stanford University and Hospitals. She then completed a fellowship in Neurotology at the California Ear Institute. After finishing her medical training, she joined the Otolaryngology Department at Kaiser Permanente in Santa Clara, where she practiced subspecialty surgical and clinical care in Otology for over 10 years. Originally from New York, she went to Brown University and obtained a degree in biomedical engineering. She did medical research at the Rockefeller University in New York City, before coming out to California to start her medical career. When she is not devoting her time to care for patients with ear related medical issues, she spends her time with her husband, step-sons, and 2 dachshunds. 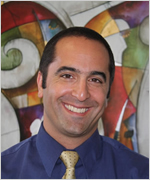 Behrouz Farsi grew-up in northern California, graduated with a bachelors of science in the biological sciences from UC Davis before working as a public health specialist and then a clinical research scientist at the National Institutes of Health. He graduated as a physician assistant from the Yale School of Medicine in 1999. He has worked in the fields of GI medicine and surgery as well as oncology and has returned to practice otology and ENT with Dr. Maw after serving the practice for 2 years. He brings to the practice a love of the healing arts, compassion, as well as the desire to connect with and provide superlative service to his patients. He is married, has a son and loves to travel as well as explore/experience the arts, the outdoors and good food. Please feel free to contact him with your thoughts and questions. 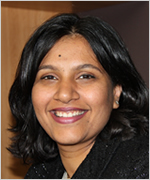 Dr. Sarika Patil has been with Ears Inc. since 2004 and is the Director of Audiology. She has 13 years of experience in diagnostic audiology and hearing aid technology. She has subspecialty training in cochlear implant technology and has expertise in programming all 3 manufacturers of cochlear implants that are currently available. Sarika is a co-investigator of research on the Med El Vibrant Soundbridge at EARS Inc.
Sarika has a Bachelor’s in Speech and Hearing Sciences from Mumbai, India. She received her Master’s degree in Audiology from Ohio University. She obtained her Doctorate in Audiology from Pennsylvania College of Optometry in 2007. Prior to joining EARS Inc, Sarika worked in diagnostic audiology and hearing aid dispensing at Kaiser Santa Theresa in San Jose. She is driven by her passion for working with children with hearing impairment. 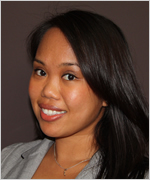 Liezel is a South Bay Area native, who joined our team in 2007. Her passion for science led her to attend the University of California, Davis, where she earned her degree in psychobiology. Liezel started off as the front-office manager and has since received her license with the California State Hearing Aid Dispensers Bureau. 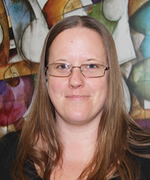 Liezel has an extensive understanding of hearing loss, hearing aids and their repair. She is fluent in Ilocano. During her free time, Liezel enjoys playing sports, cooking and traveling. 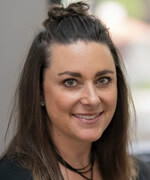 Dr. Rebecca Meredith is pleased to be a new member of the audiology team at EARS Inc. She previously worked at Kaiser Permanente Santa Clara for 20 years as the supervising/chief audiologist. Dr. Rebecca Meredith received her undergraduate degree in Speech Pathology & Audiology in 1984 and her M.A. degree in Audiology in 1986 from San Jose State University. She earned her Doctor of Audiology degree in 2003 from Arizona School of Health Sciences. Rebecca has a special medical interest and sub specialty training in cochlear implants. 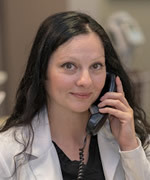 She believes in being a good listener and she strives to provide patients with the best possible hearing health care. She was raised in the Bay Area (Sunnyvale). She has two grown children. In her spare time she enjoys traveling, hiking, reading and spending time with family. 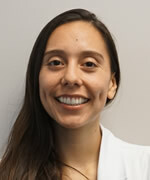 Daisey Thalia-Sanchez Jacob, a bay area native, joined EARS, Inc in March 2018. Dr. Jacob received her Au.D. from The University of Arizona and completed her externship at the Banner University Medical Center in Tucson, AZ. While in graduate school, Dr. Jacob participated in research involving aural rehabilitation and the access to care along the U.S.-Mexico border. She provides diagnostic services to assess the auditory and vestibular systems, enjoys working alongside cochlear implant recipients, is licensed to dispense hearing aids, and is fluent in English and Spanish. Jacqui is in charge of billing and collections and has worked for Dr. Maw since 1999. She is a native of Santa Clara County and attended Los Gatos High School. She then followed her mother's career path into the medical field. 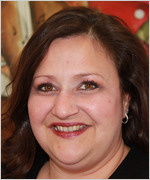 Jacqui has over 20 years experience in medical billing. She is very family oriented and cherishes her time spent with her husband, two children and extended family. She is a wonderful cook and loves to entertain family and friends at her home. 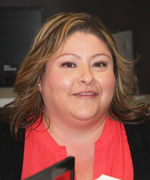 Karina is a San Jose native who graduated from Lincoln High School in 1995 followed by Bryman College in 1998. She has extensive experience with assisting in pediatrics and otology. By working with the staff at EARS she is able to combine her love of Pediatrics with her knowledge of ear related problems. Karina is fluent in both English and Spanish. She has a 5 year old daughter who she enjoys spending most of her time with outside of work. Rachel was born and raised in Santa Clara County. After years of teaching/coaching swimming and water safety, she went into the medical field after graduating from College. She has been working in medical administration and medical billing for 10 year. Prior to working for Ears Inc, she worked for a private Chiropractic/Therapy clinic in Los Altos. She joined Ears inc in 2012, and works in the billing department. Rachel handles insurance claims, patient payments, appeals and billing questions. She enjoys medical billing and helping patients with their insurance/billing questions. Outside of Ears Inc, Rachel has two spirited children that she enjoys adventures with. Her family loves water parks, pools, lakes and of course the ocean. Camping, fishing, hiking and traveling to find new places to discover and experience are usual family vacations. She and her family have a love for nature, on her days off she can be found tending and watering the gardens at home, while her daughter plays outside. Rachel loves to make baked goods, canning fruits and veggies, making jams and cooking for her family. She also carries her family traditions of quilting, needle point/embroidery and sewing. Andrijana joined the EARS, Inc. team in February 2018. She graduated from Medical Assisting program at Unitek College, San Jose in October 2017. She was born and raised in a small, beautiful country of Serbia, where she got her associate degree in Statistics. In her spare time she likes to spend quality time with her husband and 3 daughters. She likes traveling to new places and enjoys photography. Her motto about life is: "live as if you were to die tomorrow, learn as if you were live forever. Zeinab recently moved to California to support her husband on his new job in the bay area. Zeinab is originally from Queens, NYC. Zeinab has a bachelors degree in health care administration from University of Bridgeport, CT. Zeinab has a nursing assistant certification since 2013. In her spare time she enjoys reading and watching movies. Allyson is a native of Santa Clara. After working at EARS, Inc for 5 years she took some time off to raise her three children. When her youngest child entered Kindergarten, Allyson returned to EARS, Inc and has been assisting the office with many tasks such as front desk reception, facilities and marketing. She recently accepted the position of a surgery coordinator for Dr. Jennifer Maw and Dr. Michelle Inserra. 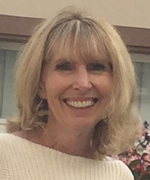 In her spare time, Allyson enjoys spending time with her large family both immediate and extended, reading, and vacationing in Tahoe and Kauai.